Established in 2008, BizAv Services aims to support the business aviation growth in Europe, specifically assisting business jet aircraft operators and owners wishing to obtain a Maltese Air Operator Certificate (AOC). Our support consists of a number of services whereby, through a services agreement, BizAv helps the Operator/Aircraft Owner obtain a Maltese AOC. 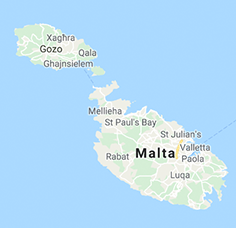 Such services include: setting up a tax efficient Maltese legal entity or entities, including accounting, compliance and legal services; office setup including the sourcing of property, personnel recruitment, aircraft assessment, assistance with application for the Maltese Department of Civil Aviation, preparation of manuals and continued support post certification. Our team of professionals will tailor make a service specific to the needs of the aircraft owner/operator, helping them getting it right the first time round.